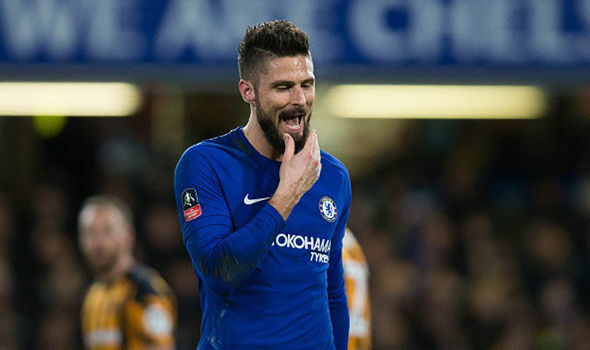 Chelsea forward Olivier Giroud has spoken out about the horrendous video which has circulated online that appears to show fans singing a song that describes Mo Salah as a “bomber”. The Blues took swift action in ensuring the people in the video were denied access to the Europa League game at Slavia Praha. Three of the six people identified from the video were stopped from entering the Sinobo Stadium on Wednesday night. Jurgen Klopp and Jason Cundy have recently spoken out in support of Salah and now so has Giroud. “I think these people shouldn’t belong to Chelsea,” the France international said – as per the Express. Chelsea have also issued a statement in which they condemn the apparent actions of the fans in the video. “Chelsea FC finds all forms of discriminatory behaviour abhorrent and … we will take the strongest possible action,” it said. Liverpool host Chelsea at Anfield in their next game, this Sunday, on the eve of the 30th anniversary of the Hillsborough disaster in what is a crucial fixture.